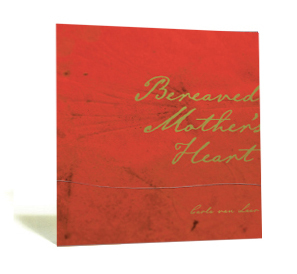 Visually stunning, confronting and uplifting, Bereaved Mother’s Heart follows the psychological and emotional journey of Carla van Laar after the death of her three-year-old son, Vaughn. Taking the form of a visual and written journal, this unique publication presents Carla’s exploration of her own grief. It is saturated with honesty and a depth of feeling that will give many readers new understandings of materal bereavement. While this book may resonate with women who have lost a child of their own, Bereaved Mother’s Heart also showcases the power and healing potential of art therapy and its associated techniques. This book is an excellent resource for established art therapists and students of the discipline looking for examples and ideas to build into their work with clients. Bereaved Mother’s Heart includes reflective notes that provide practical suggestions for using the book in workshops and groups to create soulful conversations and activities about trauma and loss.